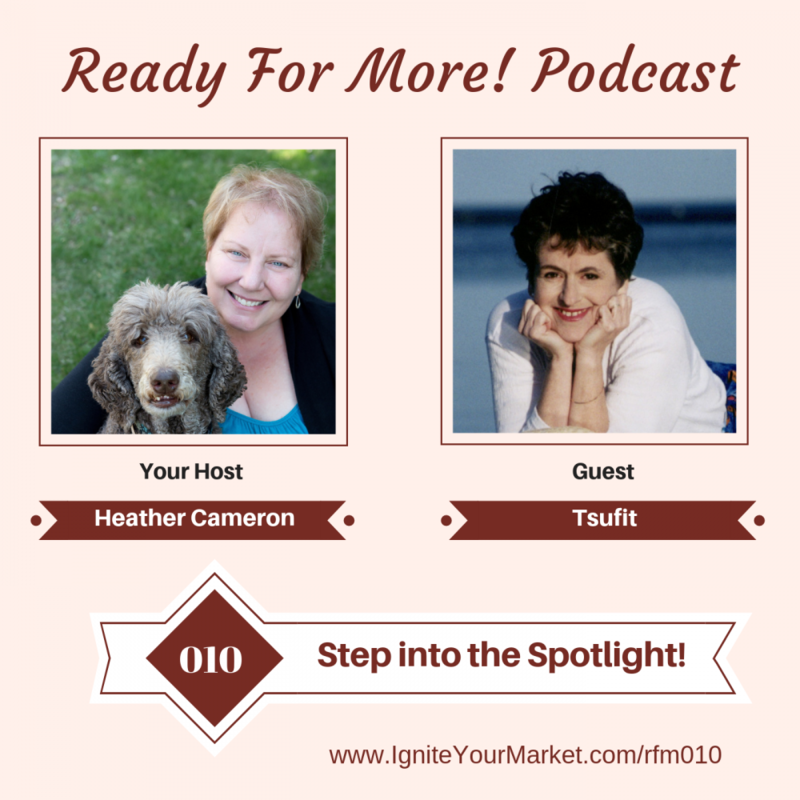 In this interview, Tsufit and Heather chat about knowing what “door” you want a client to enter your business. Tsufit shares why it so important to use words as paint brushes and to focus on connecting with people. She shares how to use your 30-second pitch to connect not to sell. And most importantly find the spotlight that is right for you! 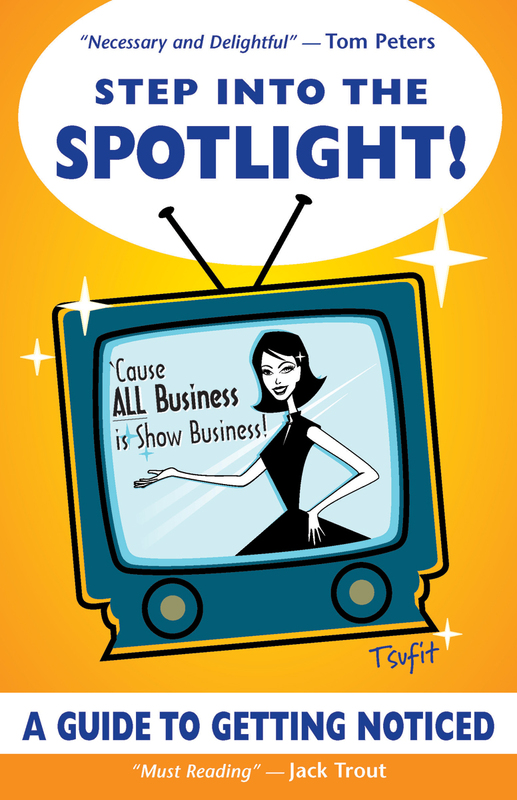 Tsufit is the author of Award-Winning book Step Into the Spotlight! : A Guide to Getting Noticed. Tsufit is a former lawyer who has been described by the Toronto Star as “a starburst of energy― bright bubbly and upbeat” and by Publisher’s Weekly as a “coaching dynamo”. Formerly an actress, singer & comedienne, she has appeared doing stand-up comedy in nightclubs and on national TV and has appeared on television and film commercials internationally. 19:00 What type of business owners make this mistake the most? 27:20 What sells is confidence, certainty sells, pictures/stories sell, competency doesn’t sell. – It is about connecting. 40:55 Attract your clients, don’t chase. But, you need to be visible for them to find you. 44:05 Find the spotlight that right for you.